Mid July and my friends back home are lazing on the beach, having late night barbeques and sun burns. 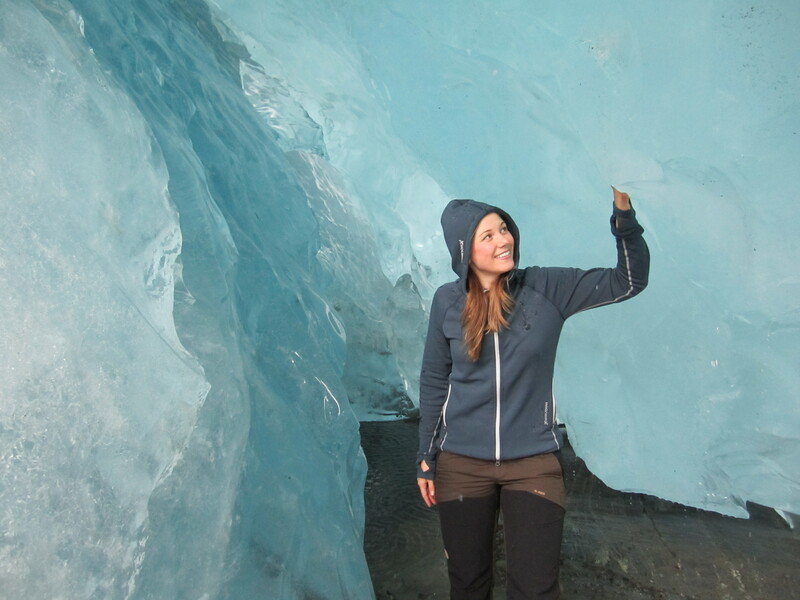 Me, I’m just chillin’ by a glacier. My childhood friend Christian works as a truck driver up here and Sunday night he came to fetch me with his 17 meters vehicle and we roamed down to Bodo. Travelling on these roads is beautiful, but sitting up in the front of a truck passenger seat it’s even more amazing. You should probably think twice if you are afraid of heights, steep mountain passages, narrow curves and long, dark tunnels. We had fun catching up on the 10 years that have passed, whilst the radio stations changed with the cities and mountain villages. Passing through a tunnel, we put on the only CD we found lying around – a Swedish “dansband” album. Made us laugh. 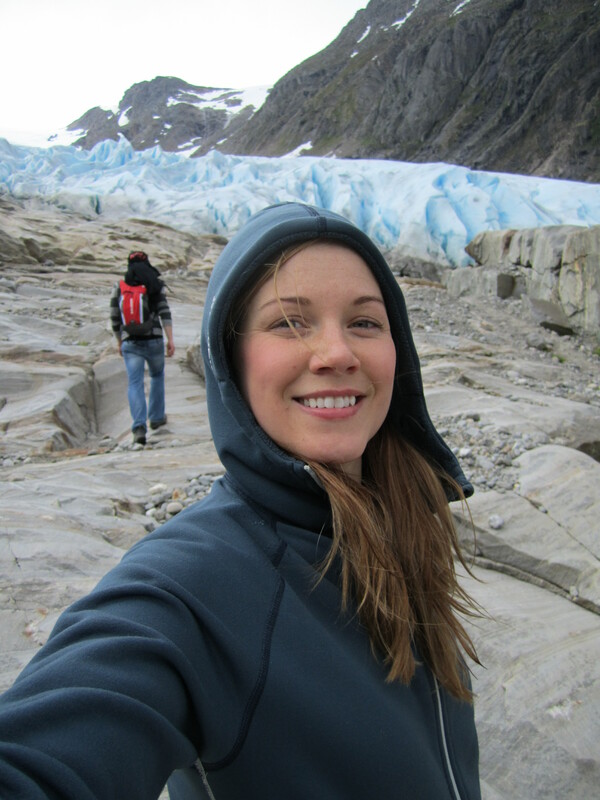 First night we stopped by a little fjord, brushed our teeth in silence and fell asleep in the truck’s bunk beds. The next couple of days my friend went to factories and remote industries, loading and delivering cargo while I was resting in the passenger seat, or laughing out loud watching Flight of the Conchords episodes. He took a day off and we caught a ferry to Norway’s next biggest glacier – Svartisen. A short bike ride and a few hours’ rock climbing and we touched ice dating back from the Ice Age. 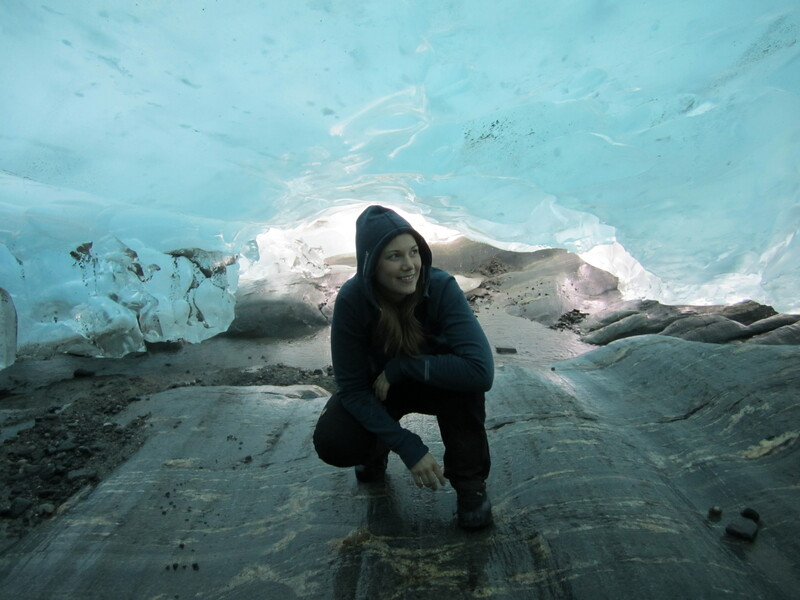 We were little kids running around exploring new ice caves. The fatigue from the climb blew away with the fresh icy breeze. That night we went to visit his Norwegian friends. They set the table with fresh shrimps, lemon and dill mustard, grilled meat with béarnaise sauce and herb potatoes, beers, wine and the World Cup. It was so great to sit in a couch in good company, with a couple of beers and completely forget about my work place. I am back now and start again tomorrow. But I wouldn’t trade this experience for anything in the world.